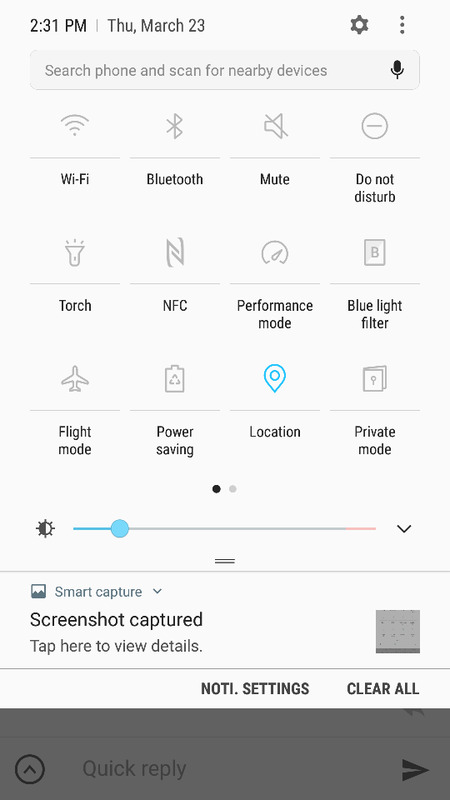 Not new to Samsung Galaxies so I am aware of things that could normally make this happen like changing lighting conditions, screen being inactive, going into power saving, etc. In my 2 weeks with this phone I have seen the brightness level change randomly a handful of times for seemingly no reason. No change in lighting, no moving of the phone, no "soft timeout", etc. 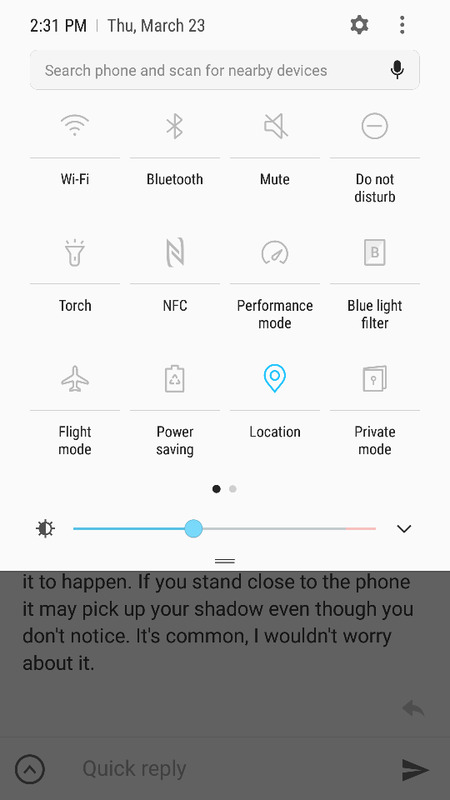 I have auto brightness turned on with the slider set at about 30% and sometimes while using the phone the screen will darken. When I go to check the slider, it's position has changed by itself. Usually it's gone down to minimum brightness, but one or two times it jumped up to like 75% brightness. I guess you didn't read what I said. Yes he did, and he is correct. I specifically said that there was no change in lighting conditions when this happens. And how do you explain the slider changing all by itself? It also take very little change in lighting for it to happen. If you stand close to the phone it may pick up your shadow even though you don't notice. It's common, I wouldn't worry about it. First picture is just sitting in my office, second one I touched the light sensor with my finger and the slider moved on it's own. Yup - i tested this as well by walking from a brightly lit room into my closet and watched the slider move while I had the notification shade open. As I said before though I have seen this happen when there was no change in lighting and I was just looking at the phone without moving it. It's definitely more sensitive than my s6 was and it's been a bit of an annoyance at times. Not a big deal but to have to go in and manually change the brightness back after its changed on its own is a bit of a pain and seems like something I shouldn't have to do. Sometimes the ambient light that you see settling does not change, but the amount of light the sensor on the phone detects (and there is an appreciable delay there) are different.